We drove east and northward through Virginia to our next destination. Virginia flattened out a bit as we headed east. We drove through Lynchburg and gazed upon the sprawling campus of Liberty University. It lined each side of the interstate. The President had just spoken there so I, at least, was more aware of this place of Christian education. It was indeed an enormous campus. I had to wonder how the students negotiated such distances especially with a big highway running through the middle. Next we passed the Jerry Falwell Memorial Highway. We were certainly in the white-hot center of things Christian. We arrived at Holliday Lake State Park on a beastly hot afternoon. A heat wave had engulfed half the country so we weren’t alone in the sweltering heat. We un-hitched at our camp site. Halfway through the process we were both dripping with sweat. There was a little breeze so it was cooler sitting in the shade outside. We needed to do some planning. We had reserved two nights at Holliday Lake. Our next stop was in College Park, MD and that was quite a distance from our current location. All told it was a 220 mile drive, but much of it was in urban traffic which would make the drive more taxing and certainly longer. Sitting at our camp site, we were becoming convinced that we should only stay one night at Holliday Lake and then push on. We were also feeling oddly detached from this park. Perhaps it was the heat or the concern about the drive in two days. Maybe it was the fact that this was the last state park scheduled for us to stay in. In any case, we decided that we would leave the next morning and find an intermediate stop before heading to the DC metropolis. However, the camp ground was deep inside this state park and any whiff of a cell signal had long since faded. We identified two potential places to stay, but with no signal, we wouldn’t know which path we would take until we were under way. This was all somewhat out of character behavior for us. Our site was next to the Campground Host’s site. We met them coming out of their Fifth Wheel. They were off duty and it looked like they were heading to town. Reluctantly, we closed up the trailer for the night. It was just too hot inside and there wasn’t much of a breeze. We had a somewhat desultory dinner. We listened to some music and then turned in. The next morning was cool and lovely. The campground at Holliday Lake was so deep into the forest, there was only the sound of birds singing. We had driven close to five miles from the highway through the forest to get to the campground. We hitched up in the cool air knowing the heat would soon come. There was one particularly enormous bumble bee hanging around the campsite. He had been there when we arrived and Dakota had barked angrily at him as if he were a small dog. That is how big he was. Now, as we put away the awnings and prepared to hitch, he buzzed around us like a small aircraft. He was an interested bystander and seemed to be watching everything we were doing. He was a benign and friendly presence. The Camp Hosts had told us this was their favorite park. They loved being here. We tried to see what they saw. It was pretty. Mountain Laurel was in bloom and there was a bush just inside the trees. We had driven past the lake for which the park was named when we arrived. It had a wide beach and was undoubtedly popular on the weekends. There were trails all through the park, but in the heat we had no desire to hike them. We set the GPS for one of our two proposed destinations. We drove for miles through rural countryside before there was enough signal for me to call to see if they could accommodate us. The woman on the phone at the campground paused when I asked if they had availability. Whether it was because she was checking or hadn’t been asked that question in a while was an open question. Once we got to Shenandoah Hills Campground, it seemed like the latter was the stronger possibility. We were somewhat aware this campground had mixed reviews when we chose it. We read online that the roads were pot-holed. The campground personnel were not very friendly or nice. More recent reviews had been positive and that had emboldened us to give it a chance. The campground at Shenandoah Hills could have been nice. There were plenty of trees and appropriate space between the sites. One of the issues with campgrounds which we had slowly come to understand is full-timers. When a campground has a significant number of full-time tenants, things begin to deteriorate. Rigs begin to age and can become covered with moss and dirt. 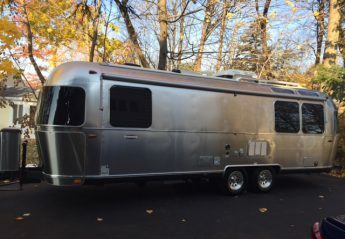 Since this is an inexpensive way to live, the trailers and rv’s aren’t always high-end to begin with. Camp sites become untended as they fill with accumulated possessions. The infrastructure begins to degrade. It is almost counter-intuitive, but transient guests help keep a campground looking fresh and tended. This campground was almost half filled with full-timers. Indeed when we pulled in the potholes were terrible. The woman at check in was friendly enough. Tipped off by the reviews, I asked if there had been some fairly recent change in management at the campground. She said there hadn’t although they had been a KOA campground until five years ago. She explained that they had dropped KOA because they didn’t like paying the marketing fee. Cash flow did seem to be an issue at Shenandoah Hills. Our next door neighbors were a friendly family who had just bought their travel trailer used. They were planning a big trip west through Texas in June. That’ll be hot all right. The man was full of questions and Jim was only too happy to share his newly gained wisdom. He was no longer a newbie, but a seasoned Airstreamer with knowledge to share. We ran our air that night for the second night in a row. We really missed the open windows, night sounds and fresh breezes. We were up the next morning ready to hitch and go. Even though we had cut the day’s driving distance in half, we had a lot of ground to cover. But there was a big payoff. A major incentive to head to our next stop.